Indoor and outdoor directional panel antennas. 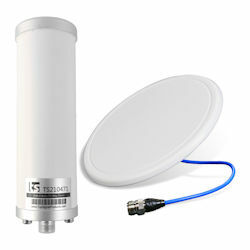 Outdoor omnidirectional and directional (LPDA) antennas. If you have any questions about antenna performance, installation, or use, please don’t hesitate to contact us—we’ll be happy to answer your questions!